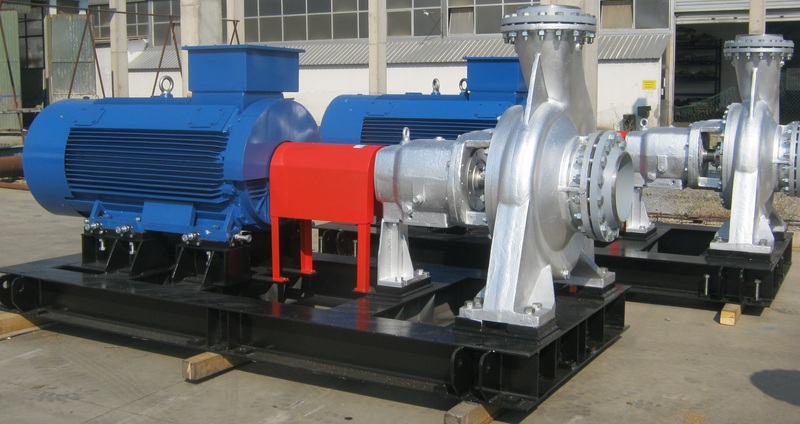 The C type range is the basic range of our centrifugal ring section multistage pumps. 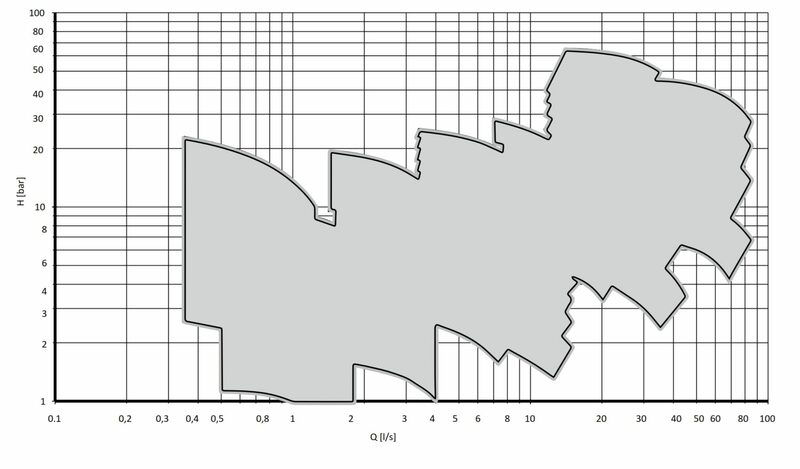 The simplified design, utilizing hydraulically balanced impellers by means of holes into impeller, or by “back to back” impeller execution, provides the optimum pumping solution for medium pressure applications. Pump casing is consisted of suction and discharge housing, middle chambers and bearing brackets. All of the impellers are centrifugal of closed type, and are statically and dynamically balanced. The shaft sealing could be arranged by: soft packing or mechanical seal. In soft packing arrangements the shaft is protected by replaceable, stainless sleeve while the stuffing box is furnished with lantern ring for introduction of cooling liquid into the packing. 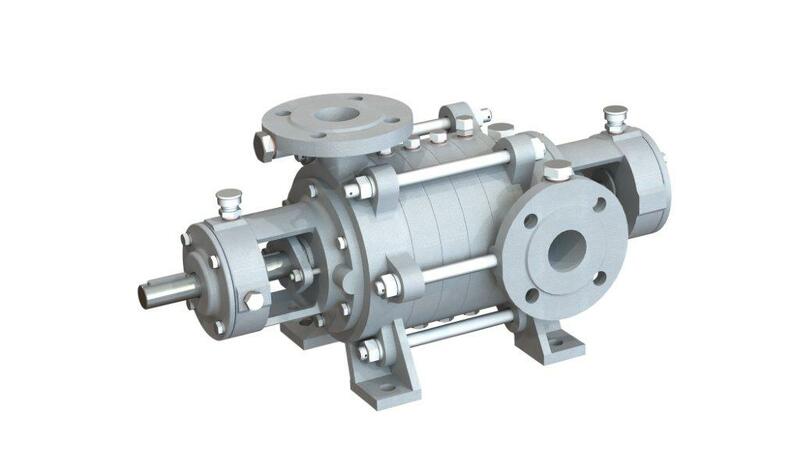 On special demand the pumps could be furnished with mechanical seal in accordance with the characteristics of the liquid and the operating conditions. Temperature: up to 160 °C. Rotating equipment lube and seal oil supply. Optional materials: Cast iron (Gray, Ductile), Cast steel, SS (AISI 304, 316), Duplex SS, Super duplex SS, Bronze, AI, or other on customer request.